Townsend will be celebrating our 50th Anniversary in a big fun way! 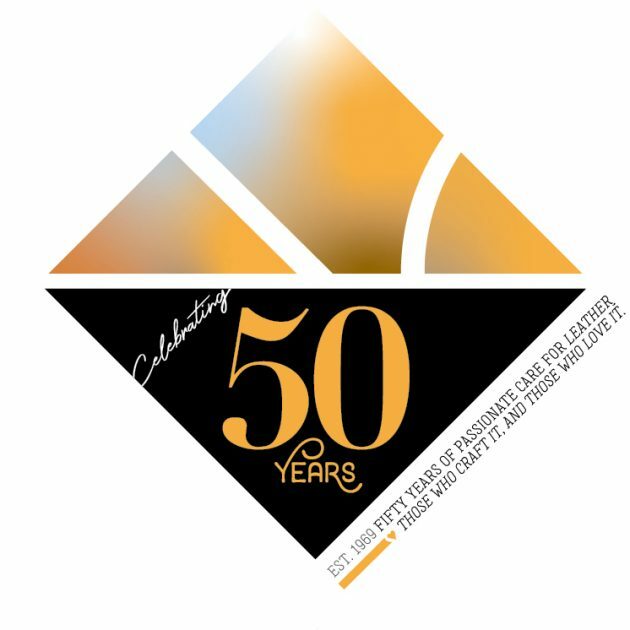 We are so proud and excited to be celebrating 50 years of passionate care for leather, those who craft it, and those who love it! 2019 is a celebratory year and we will be hosting a block party bash on September 6th, to celebrate in style! This party will cover a lot of things for us, we will be celebrating the Grand Opening of our newest building that we lovingly call “The Stitch”, we will be honoring our tradition of an annual Health+Wellness Fair with health-minded vendors and activites, we will be giving heartfelt thanks to the community and community leaders for their support over the past 50 years and for helping to open The Stitch, and of course we will be celebrating 50 years of leather and love at Townsend Leather! We will be hositng Townsend Leather Sales Reps from all over the world, “closing down shop” early for the day for all Townsend Partners to attend, and we will be inviting many folks from all around The Glove Cities community to join us. If you are a local, community-focused business, we want you to join us! We love our community and we love the support we have receive for the past 50 years, especially as we work to open or new building. This event is a way for us to publicly say “thank you” in a big way. We are located at 45 Townsend Ave in Johnstown NY, (and have been for 50 years) with lots of lush greenery around the back of our main building, and a gorgeous calming pond. We are a passionate, team-centric, hard-working, fun-having group of about 160 people. All Townsend Employees will be attending the event and are “on-the-clock” while they are there. So you can expect an engaged and happy audience. Because of the difficult nature of scheduling so many parts, this will be a “Rain or Shine” event. If the weather is dangerous we may need to end early or attempt to bring some of the event inside, but otherwise, we will proceed as planned, even in the rain. The event is outside. Each year we host a Townsend Leather Health + Wellness Fair (see an example here: http://www.townsendleather.com/2017/lifestyle/health-wellness-fair-2017) behind Townsend Leather’s Building #1. But, for our 50th celebration, we are switching things up and will be hosting the event right at the new building to celebrate it’s grand opening! So the event will be located outside on Grove Street in Johnstown, NY at The Stitch. For those able and willing, it will be best to unload at the event location, then park at Townsend Leather’s Building 1 Parking Lot (45 Townsend Ave), and walk back over to The Stitch. You can walk the short distance in under 10 minutes along the beautiful Rail Trail. We will have a PA system set up and will do periodic announcements and we will have music playing throughout the event. We will have electricity for the vendors that require it, but it can be difficult to manage the wires and it may require you to change locations, so if you don’t have to use electricity, it is usually better not to – but it can be made available. We will have large tents set up to designate the vendor areas and have plans to create specialized Zones, to be determined based on the vendors, to organize the event. We can provide some tables and chairs, you are welcome to bring you own. We can accommodate almost any size, let us know how much space you need and any equipment requirements and we will do our best to make it work. We will provide signs for each vendor/table but please bring any of your own signage, banners, handouts or whatever as well. Please plan to arrive at least 1 hour before the start of the event, to ensure you have ample time to set up and visit with the other vendors and staff. We are asking all vendors to consider incorporating our Vendor Theme for the event of, Community. We will be celebrating “Stitching Together our past, our future, our history, our dreams”. If you have a way to tailor your offering or message to share and build on this idea of stitching together and celebrating our local community, we encourage you to do so. We would also ask you to be sure you have something to hand out. Plan to pass out business cards or flyers, or even better, plan to pass out something fun! We want the even to be highly active and engaging, so please plan to have lots of conversations or to offer some kind of hands-on activity or presentation. Want to be a part of this awesome endeavor? Let us know more about you, what you offer, and what you would need – by completing our Event application. A Full Vendor Application Form will be available soon, for now, just enter your information to let us know you are interested and keep you up to date of any details! On a scale of 1 to 10 (10 being the highest), how excited are you to be a part of this event? !